So, I took a long leave of absence, in case ya didn’t notice. Anyway, sorry to leave you all hanging like that. I needed a break. Work got crazy. I’m poor. It was too hot to blog. The cat scratched up my fingers so I couldn’t type. The dog needed to be let outside. [Insert more non sequitur excuses here]. The good news is, I’m back. You know, until there’s some emergency, like toenail painting or something. I found a great beet burger recipe from veggie blog The Hearty Herbivore. She’s got some awesome stuff on her site. Take the time to check her recipes out. Basically, she takes beets, shreds them up and mixes them with other yummy things, like barbecue sauce, peanut butter (yup, PB), onions, mustard and some herbs. You won’t miss the beef with these. And if you’re scared of beets, try them this way first before you eat them any other way. 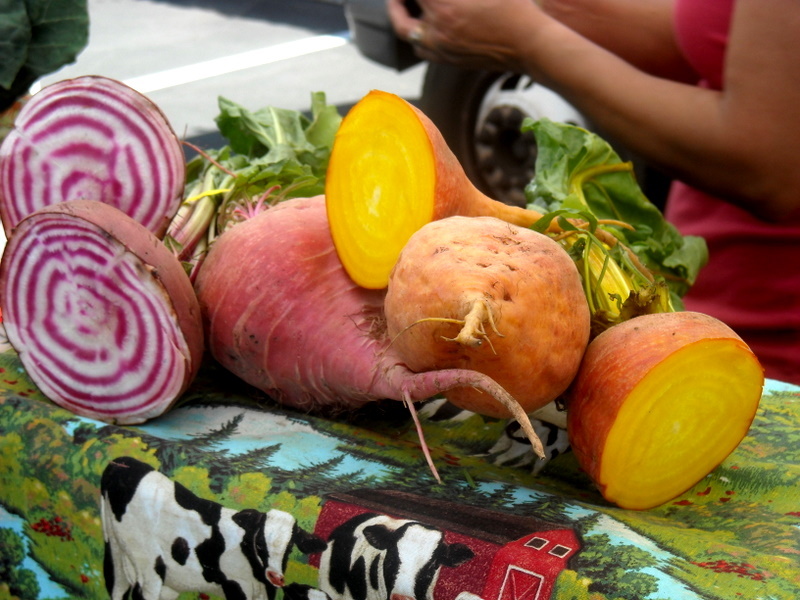 They’ll make you a beet believer. Click here for the recipe and Happy Monday! It’s good to be back. Thanks, Stacy! I missed my readers. Beets can be awesome if prepared the right way. I’ve gotten violently ill from a beet salad before. Roasted, though, I love. I had no idea that the Swedes loved them so much! Thanks for the mention! I love Killer Tofu! Sometimes I wake up with this song stuck in my head-true story! i’m so so so so so happy right now…. i MISSED it!